While Los Angeles is full of excellent bakeries, hole-in-the-wall ethnic finds, and fine-dining restaurants, its traffic is a headache. Driving into the city from my quiet suburban community can be a treacherous feat, leaving me exhausted and wishing to never sit in a car again. When I heard about a newly-opened local bakery serving homemade breads, seasonal pastries, and light lunch items, I could not wait to visit. 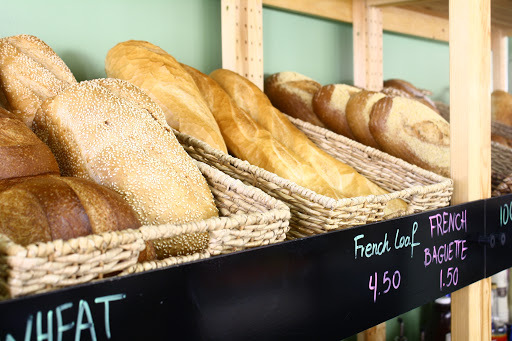 Baked on Oceanview offers a wide selection of breads made from all-natural ingredients, baked fresh every morning. The Whole Wheat roll is soft and airy on the inside, with a subtly crunchy crust- a refreshing change from the stale slices I store in my freezer. 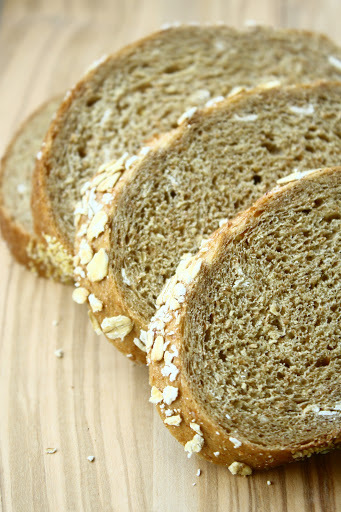 A cross between rye and wheat, sweetened with molasses, and sprinkled with oats, the Squaw loaf is another favorite. Customers can create their own sandwich using any of the bakery’s signature breads, meats, cheeses, toppings, and spreads- all of which are fresh and made-to-order. The salads are simple and dressed with a grainy mustard vinaigrette, perfect for a healthy lunch. The comfortable, light-filled setting and easy parking add to Baked on Oceanview’s appeal. I recommend Baked as an accessible, local bakery with wholesome, tasty breads crafted from quality ingredients. Tuesday-Saturday, 8 a.m. – 5 p.m.